As we are moving through a quarry, we are sometimes gifted a new product. 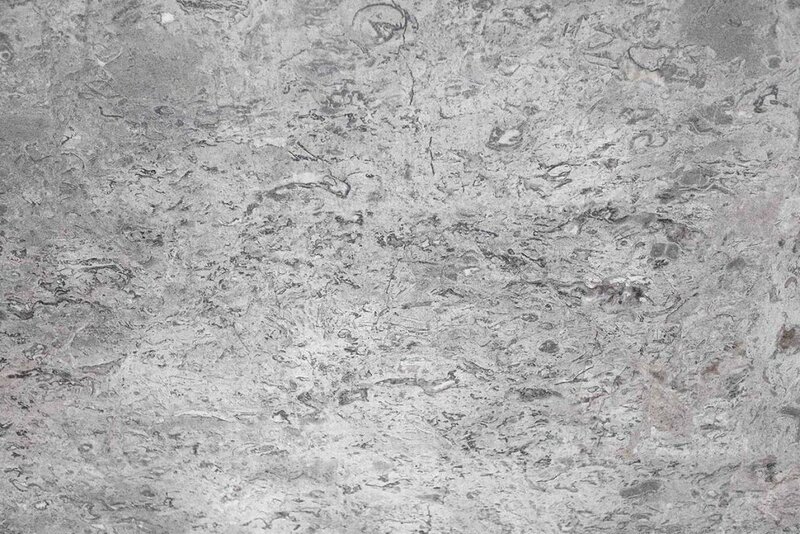 In this image you will see the natural characteristics of the new stone called Picasso. 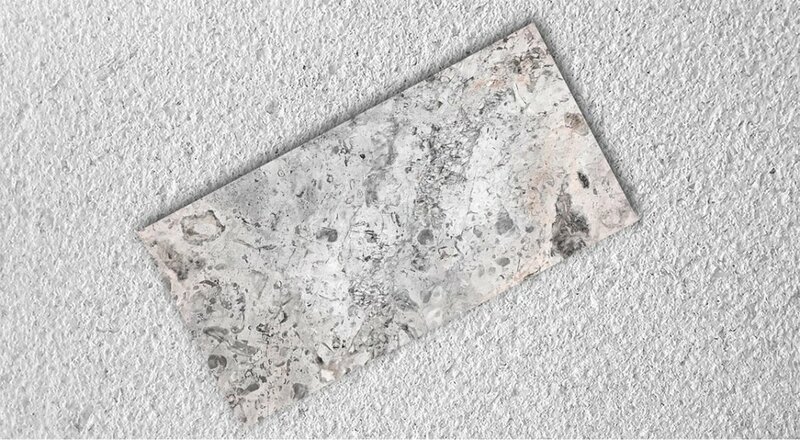 While the Bush Hammered finish creates a course texture and lightens the tonality of the stone. 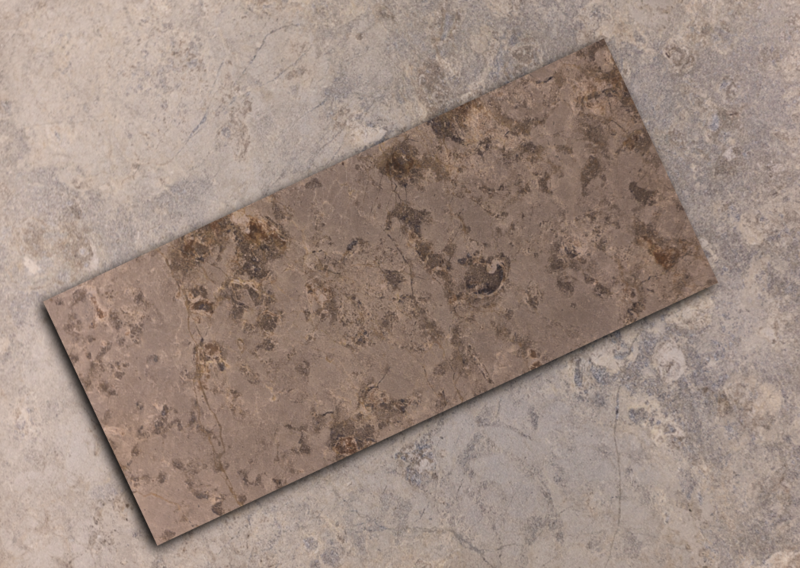 We have added Picasso to our growing slab line. This material is of such high quality we offer the material not only in slab format, but also in tiles, profiles, meshmounts, pavers, copings or whatever custom details you desire. 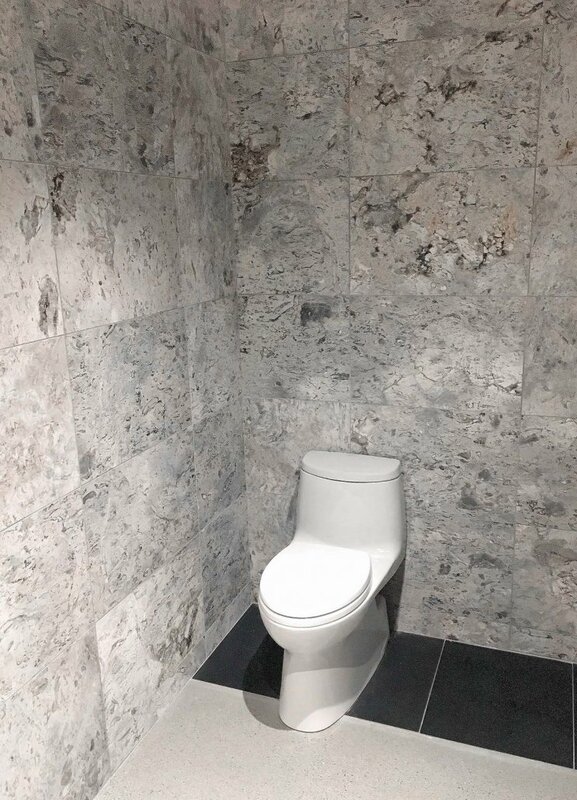 The Picasso look creates elegance. 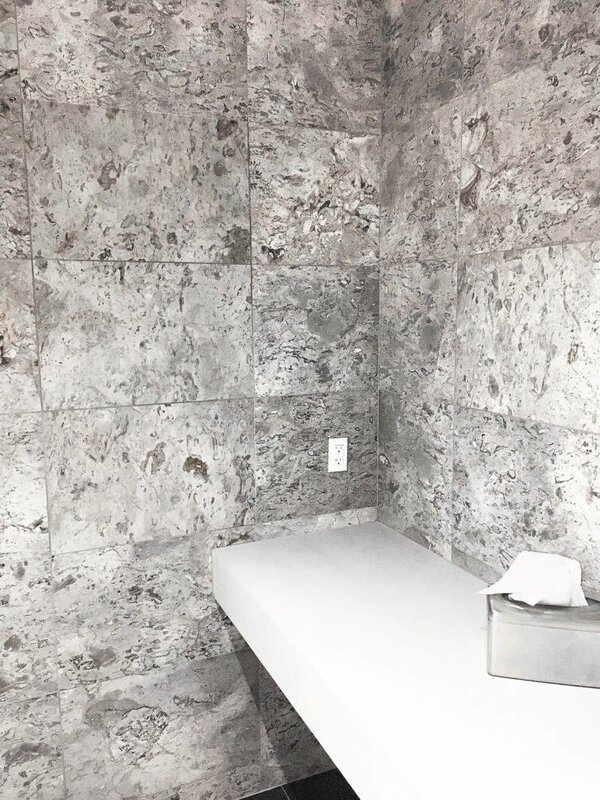 When we discovered this beautiful material we immediately put it up in our showroom, Tate Studio Architects in Cave Creek, Arizona loved the material so much, they decided to put on display in their water room. Notice all the variation and light and dark grey tonalities that blend so elegantly together.